Career Update: Job Market for Technical Writers Writing Assistance, Inc. The job hunt is on everyone’s mind – whether you’re looking for work or not. 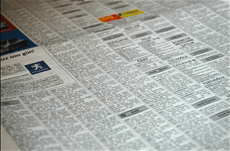 So, what is the outlook for technical writing jobs? According to the Bureau of Labor Statistics, the technical writing job market seems to be growing, and it comes as no surprise to those who already use technical writers in their business. According to these figures, the technical writing job market is growing about as fast as the average career. For those looking to hire technical writers, these facts also show that technical writing is a skilled market, one in which the writers have at least a Bachelor’s Degree from an accredited university or college. With more companies turning to technical writers for support, it becomes clear that traditional writing is becoming more and more specialized. Medical organizations require writers who are familiar with technical writing tools and formats, and information technology companies need writers who can turn technical processes into easy-to-follow user documentation. While it’s clear that technical writing is a growing career field, what isn’t clear is how this will impact the market as a whole. Does more technical writing job growth lead to better writing and more available information? I think there is no relation between tech comm job growth and the other two phenomena you mentioned. All else being equal, a growing job market means there will be more people doing that job in every imaginable quality level, from really bad to excellent. I dare say that even if every single newly created tech writing job is filled by someone holding a B.A., an improvement in tech writing “out there” would be impossible to measure, mainly because a B.A. does not guarantee you are a good tech writer. All else being equal, the additional information made available by an extra 8,500 tech writers will also be very hard to measure, because most information growth will come from just about everybody else, from the proverbial kitten videos to excellent tech comm, written by people who started doing tech comm in 1992 or 2012 who call themselves “technical writers” or something else. Kai – Thanks for your excellent, insightful comment. May I ask where, geographically, this growth is happening? This is exciting news – but hopefully it also translates into new entry points into the profession. Paul – The BLS really doesn’t break it down by region, although they do provide a look at the economy at a glance for regions across the U.S. Arlington, VA (DC area) and Silicon Valley are areas that offer continuing opportunity, and you might be able to get more info out of the latest STC survey. This article fails to mention some very important things.Technical writing, like most of information tech, has been outsourced. You’re lucky to get short-term jobs through staffing firms. Benefits (if any) are often self paid. There is little to no upward mobility. Senior tech writer – this has been going on for years now (at least 10), and it’s not just IT. Paid benefits – and especially pension benefits – are getting harder and harder to find across many professions. We were merely citing information from the BLS, and, keep in mind, everything is relative and we said that technical writing is “growing about as fast as the average career.” You’ll often find both contract and permanent positions on our Jobs page – http://www.writingassist.com/job-seekers/jobs/.